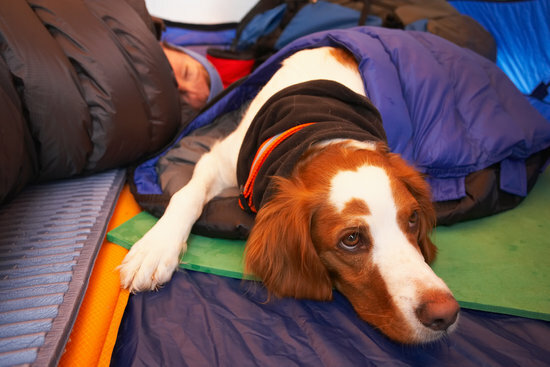 Sleep apnea has long been a sleeping disorder for humans and can be a cause for concern, but can our four-legged friends also suffer from dog sleep apnea? Yes! 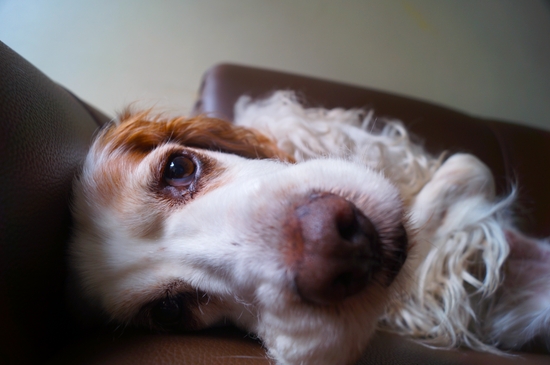 Dogs suffer many of the problems humans can and this is not different, sleep apnea can be a scary thing to deal with as it can lead to severe health problems. If your dog snores loudly they may be at risk, keep reading to find out some of the causes and symptoms of sleep apnea in dogs and what to do next. Sleep apnea is a sleeping disorder caused by breathing problems, it is often seen in humans but can also be seen in dogs where breathing can repeatedly stop and start for moments at a time often resulting in the dog waking up gasping for air hopefully. Dog sleep apnea is often associated with loud snoring at night and increased drowsiness during the day. This is why sleep apnea can be something so scary as it may seem normal but there are some heavy consequences if it is not taken care of. It is important to get your veterinarian involved if you believe your furry friend is suffering from sleep apnea as they will be able to give you more insight on the exact reasons your dog is suffering from it. When referring to sleep apnea in dogs there are many similarities to the human symptoms and causes with a few outliers in the bunch. 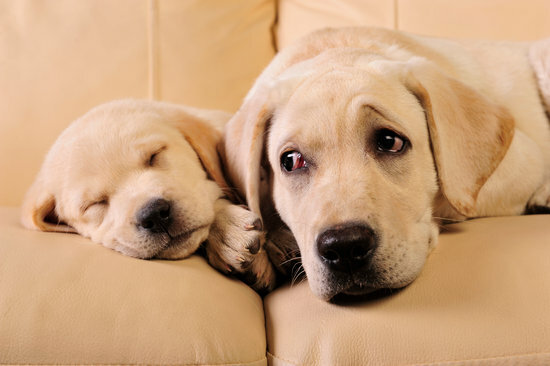 Causes like allergies, obesity, and obstructions may all be the same but some dog obstructions are caused by poor breeding habits that have lead to breathing problems at night. Allergies can be a cause of sleep apnea in any form (food, seasonal, or skin) as each can lead to obstructions in the dog’s snout and throat that cause breathing problems at night. This is an easily fixed scenario as there are solutions already in place to help dog allergies. If you are unsure what to do to help your furry friend with allergies your veterinarian is always a great resource on what steps to take. Obesity is another problem that can cause dog sleep apnea and is often associated with many other underlying health issues. When obesity becomes a problem sometimes there will be fatty buildup around the throat that can hinder breathing during sleep or even stop breathing altogether. Because the dog is overweight there are also other things that could be hurting your furry friend’s health. The only real way to help this long-term is weight loss and this can be a hard thing to accomplish but is extremely beneficial to little FIdo. Obstructions in the nose or throat are a big factor for dog sleep apnea and are seen quite often in certain dog breeds. 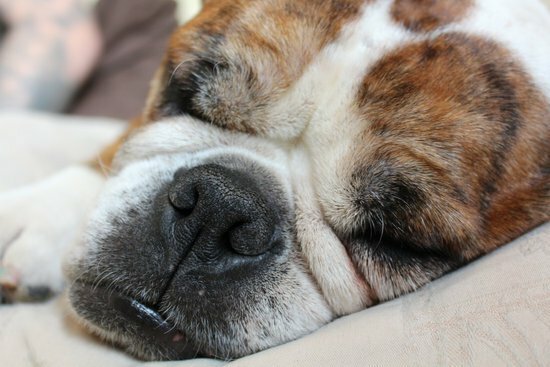 English bulldogs, French bulldogs, Boston terriers, and Pugs are all different breeds of dogs that suffer from sleep apnea due to the same thing. Brachycephalic is the scientific term for it but ultimately it means your dog has a short snout passed down through generations of other same breed dogs. Though there is not much you can do without surgery this does not mean your dog was bred poorly but rather the dog’s gene pool, in general, has this problem due to how they have evolved. 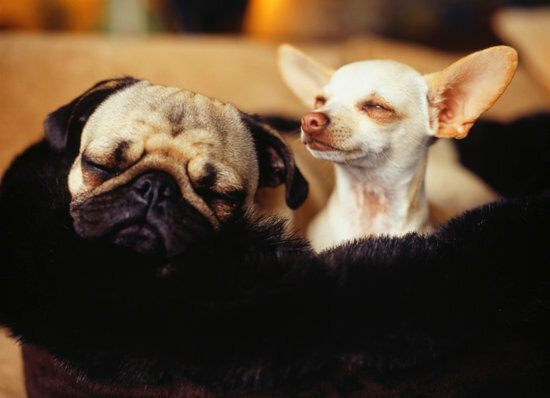 These dogs are many times associated with loud snoring which can be caused by breathing problems while asleep and you may want to contact your veterinarian if this is the case. Sleep apnea can be hard to diagnose without your veterinarian though it is possible to have an idea it is present. The main symptoms to look out for are loud snoring, irritability, extreme fatigue, and constant naps. Some signs of sleep apnea are also normal behaviors of some dogs so it is a tricky thing to figure out. Sleep apnea causes the dog to stop breathing and wake up and this oftentimes occurs throughout the night causing your dog to be unable to enter REM sleep. This means they are not getting the rest required to be healthy for their species. Dogs that suffer from sleep disorders have trouble falling asleep and staying asleep which can have a large effect on their health both mental and physical. If you notice your dogs snoring and tiredness during the day are a problem it is important to check with your veterinarian to see if sleep apnea is the prevalent problem. 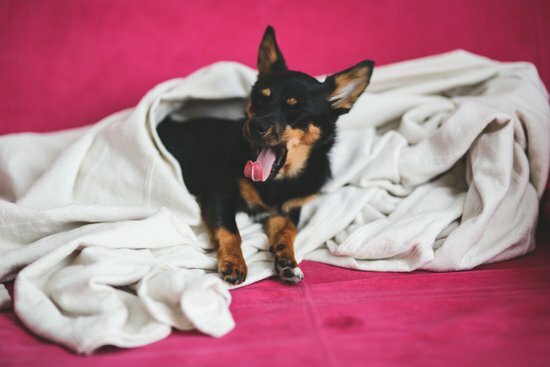 If your dog is restless at night it may not immediately be sleep apnea and can sometimes be something as simple as they need a more comfortable dog bed so don’t get too worried right away. Dog sleep apnea can be a scary thing that can affect your dog’s health in the worst ways possible. If you suspect your furry friend is suffering from this issue make sure to see your veterinarian as they will be able to better help. If you have been through this feel free to leave some tips or stories in the comments to help out and make sure to share this article so more people can help their dogs if they are experiencing sleep apnea.